I have been meaning to write this post for ages now. 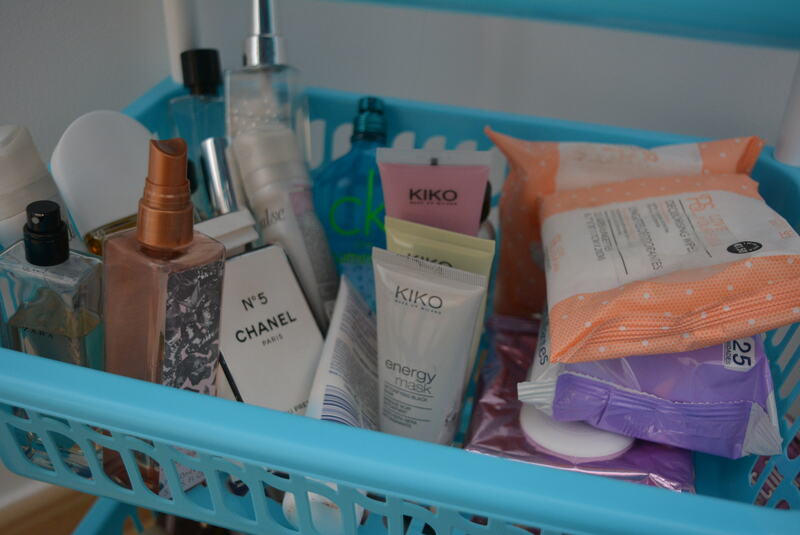 If you don’t already know, I have moved house, meaning I had to throw away a lot of makeup and a lot of beauty related things had to stay behind..
How could I have cheap makeup storage without taking up any room or getting frustrated and not being able to find anything? It seems pretty impossible right…? Wrong! I headed down to a local shop and invested in a…. VEGETABLE RACK! 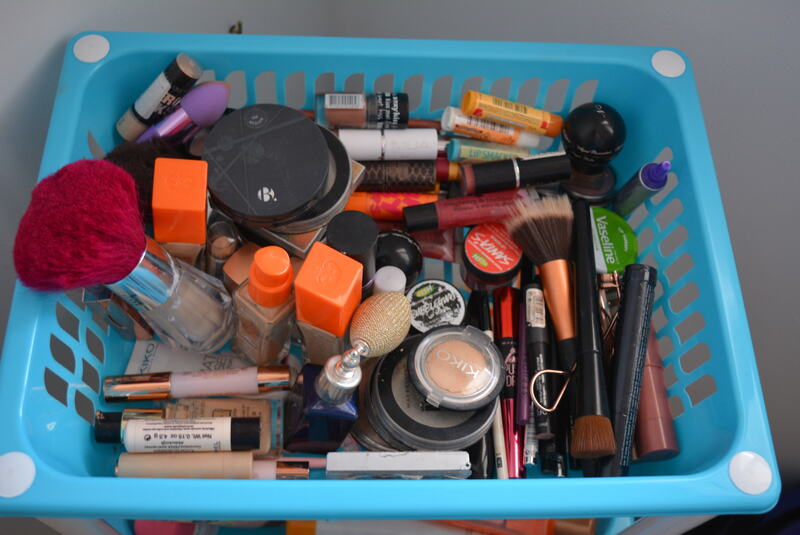 I am not even joking this is the best DIY makeup storage/organization tool I have ever had. It’s so practical and even comes with wheels so I can get ready wherever I please. The first tier of my rack is the makeup I use all the time. I do have more makeup stored at my parents house but, this makeup is what I consider a necessity and stuff I talk about quite a lot. 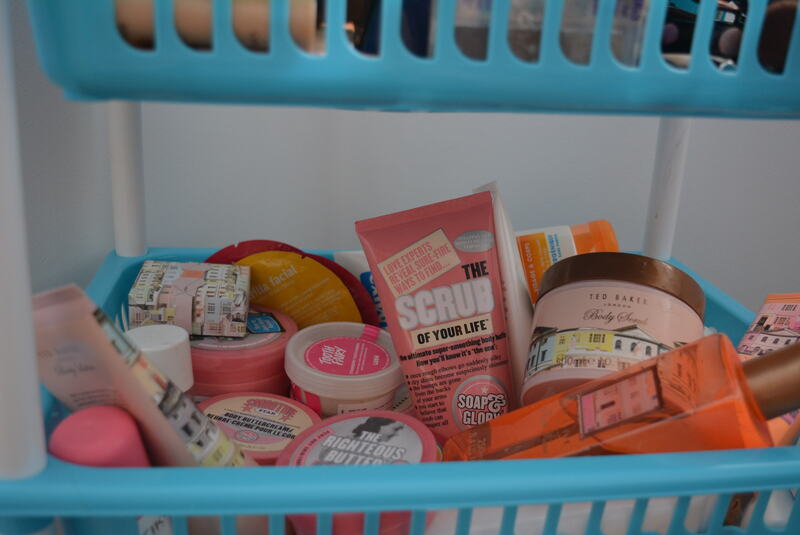 The second tier of my makeup storage is all of my body lotions/shower stuff. You may be wondering why they are not in the bathroom…well, one there’s a lot of it (there’s more in the bathroom) and two, I wanted to keep it away from there as it isn’t a gigantic room and isn’t fair on my boyfriend to have no room for anything… (Just joking I don’t really care, I just wanted a cool second tier for my storage rack!!). The third tier of my DIY makeup storage is my perfume, face masks and face wipes/makeup removers. 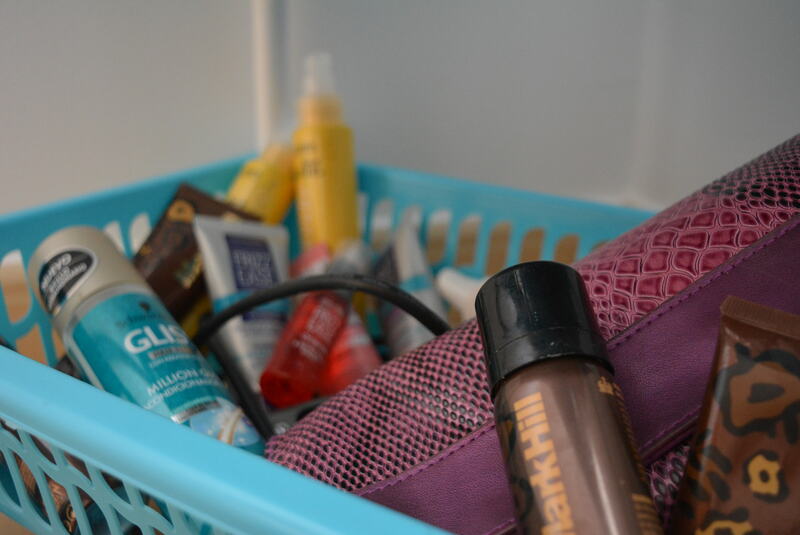 Again, I didn’t need to put this in my makeup storage rack but, it helps me when i’m blogging to be able to see all of the products and they are so easy to get to. Lastly on the fourth tier of my makeup storage rack is my hair basket. I don’t really own a ton of hair products, as you can see but, it keeps them all in the right place and allows me to pick and choose whenever and whatever I want! I have an unhealthy obsession with being organized so although it does need a little bit of work to the outsider, I actually know where everything is and it’s just the level of organization I need in my life. The makeup storage rack below is a lot like mine on Amazon it’s also around the same price I paid. All you need to do is make sure you don’t overload the storage rack, make sure you have a good clear out before adding your things to it and once it’s all done you have so much more room and have freed up so much more space! (at least I did!!). I hope you enjoyed this post! if you did please let me know in the comments below! Next Story → 30 Random Facts About Me!